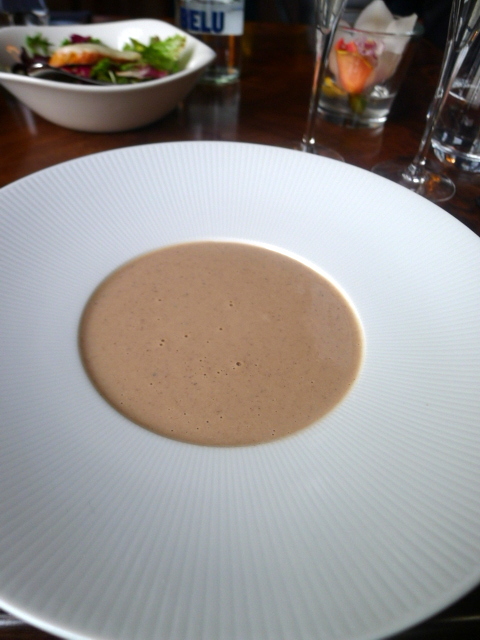 A second starter of chestnut soup (£6) was also enjoyable. There was a pleasant chestnut flavour running through the soup and it had a nice creaminess to it even though it was a little runny. Being Sunday lunch there was a selection of roasts to choose from. 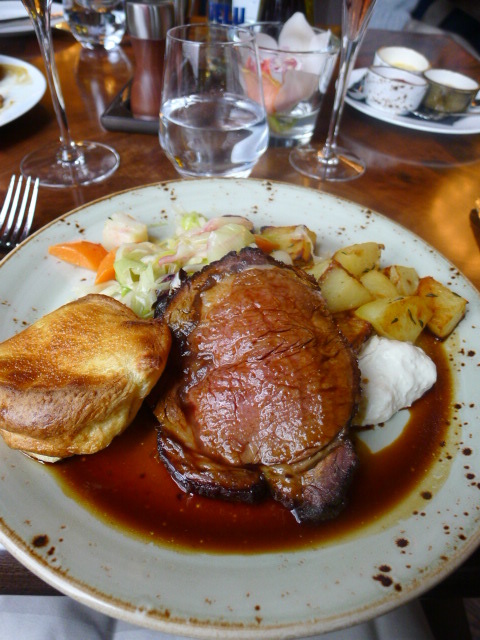 I went for the roast beef with roast potatoes, winter vegetables and Yorkshire pudding (£18). Unfortunately the Yorkshire arrived burnt and the beef was overdone. I requested a replacement plate (shown in the picture) and second time around the roast beef was more appealing even though this was the weakest part of the dish. The beef was tasty, but dry in parts and slightly chewy. Other than that, all the other elements on the plate were delicious. The Yorkshire was lovely, the potatoes were crispy with a nice rosemary flavour and the winter vegetables were a joy to eat. Consisting of carrots, cabbage, leeks and sprouts, each vegetable had been beautifully cooked in lots of butter and was scrumptious. A roast pork loin (£15) was also a little dry in parts but overall the plate was really enjoyable with the same sides of delicious roast potatoes and winter vegetables. 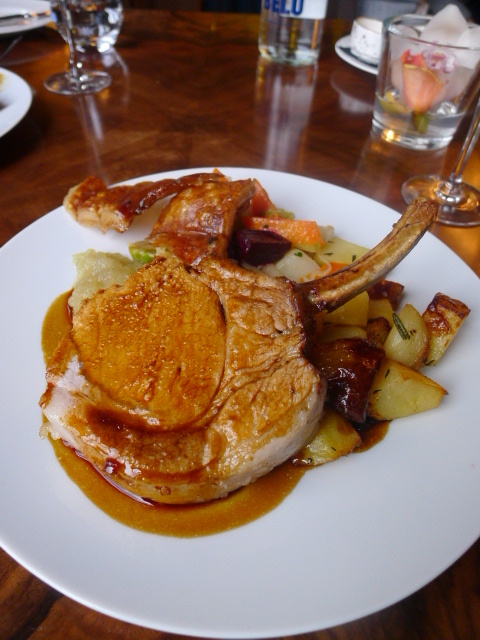 Accompanying the roast pork was a yummy apple sauce and some superb crackling that was really crunchy. 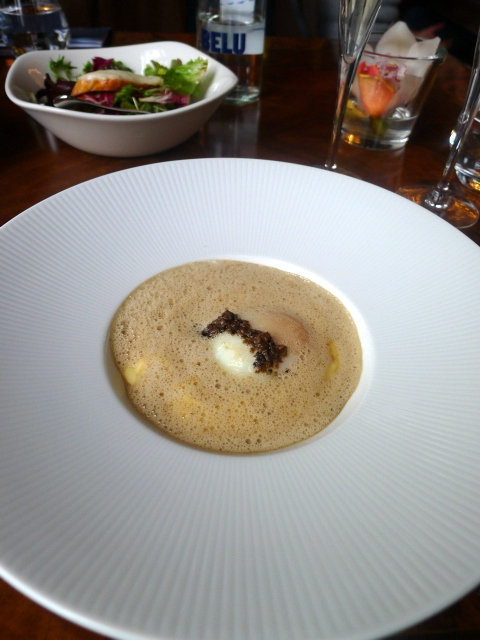 To desserts, and the ‘snow egg’ (£6.50) was delicious. 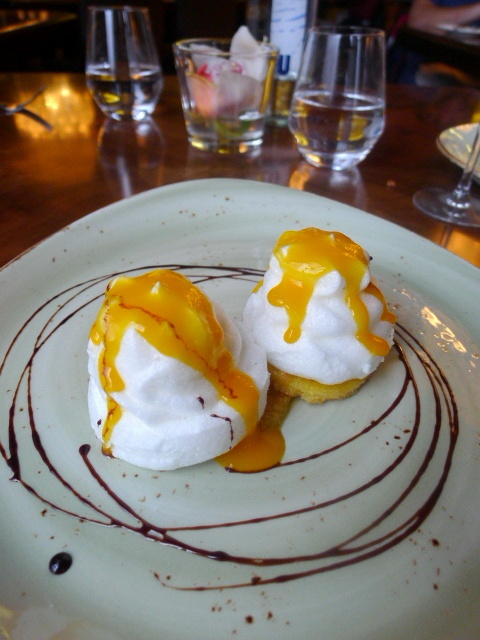 The ‘snow egg’ consisted of a soft fluffy meringue perched on an orange and almond biscuit base that was buttery, if a little soft. To complete the dessert was a drizzling of mango sauce which was lovely and the perfect way to bring the dessert together. 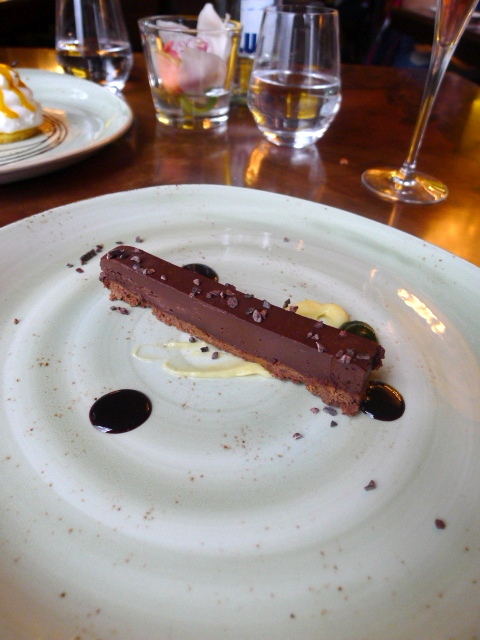 Chocolate praline (£6.50) on a crunchy biscuit base was a chocolate lover’s dream. The praline boasted of a lovely creamy texture and a rich chocolate flavour, and to help cut the richness there was also some tasty and zingy lemon curd. This was a technically strong dessert. There was some stellar cooking on show at Crocker’s Folly but it also wasn’t without error. I really enjoyed the starters, the sides and the desserts but more care was needed in terms of the meats. That said, £25 for three courses was great value and I would really like to go back to Crocker’s Folly and try their full dinner menu. As for the service, it was lovely and helpful but somewhat disorganised. We were asked the same questions by different waiters on several occasions and obviously better organisation of which staff works which tables would help to eliminate this. Starters and sides were accomplished. Desserts were excellent and showed off strong technical skills. The Sunday lunch menu is really good value. It’s a lovely place to go for a drink and some snacks at the bar. The meat was a little dry. My first Yorkshire pudding was burnt. The service was friendly (a plus point) but it was a little disorganised.